October 21st, 2015 marks the 30th anniversary of the Back To the Future Film series, and it’s also the year Marty Mcfly and Dr. Emmett Brown traveled to via the Deloreon. Leading up to the hype, is a Hoverboard commercial released by Universal. 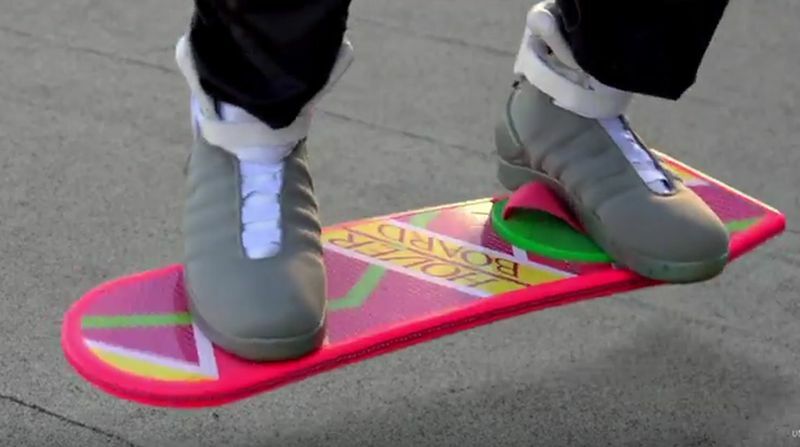 The board features the same aesthetic as the one seen in the movie, with the exception of actual “Hovering”. The commercial is perfect stunt that ads onto the hype of the franchise anniversary, and may be hinting to something greater than just a move re-release. Don’t be surprised if you end up hearing some Mag news either – you never know. If you haven’t already, you can purchase a Universal licensed mag. scoop yours up right here.